MOST people get into thrifting because they honestly can’t afford the day’s fashion, so they take some vintage garments and tweak them here and there to get that drip. 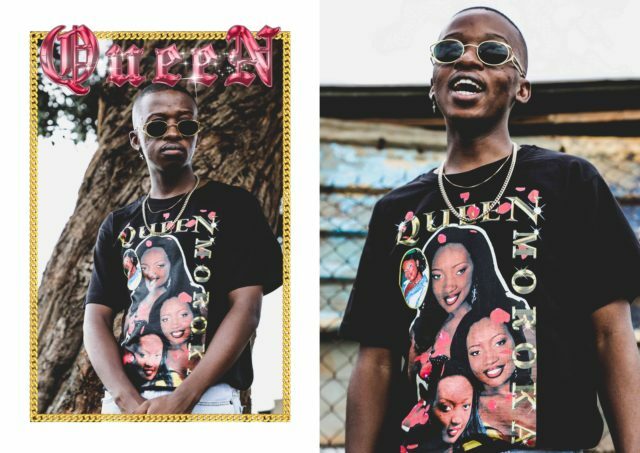 It’s a similar formula that Ntokozo Dladla used for his Queen Moraka T-shirts, but instead of using vintage attire he opted for a vintage character. 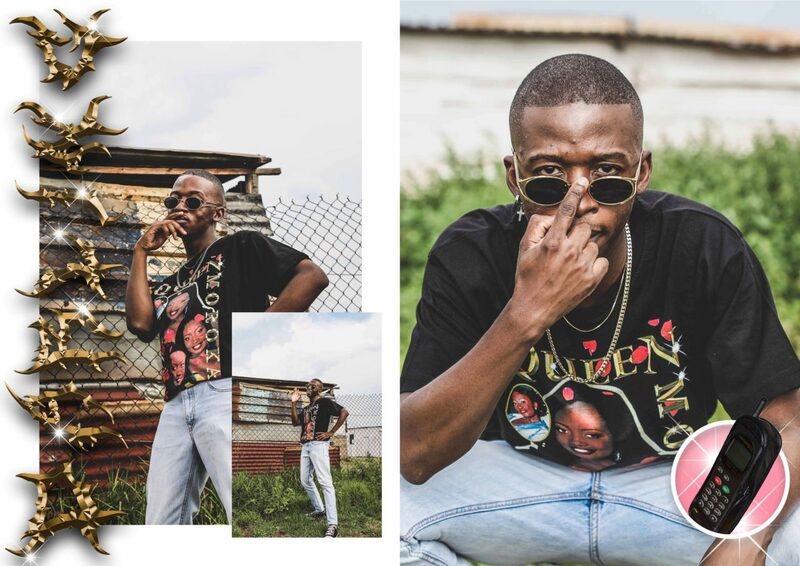 “Most of my friends had the vintage Rap Tour T-shirts and I really wanted one of my own but things on the financial side of my life were and are still all types of shaky,” Dladla tells me. So out of his need to fit in while simultaneously standing out, he came up with the idea to make his own T-shirt which would be more affordable than purchasing one. 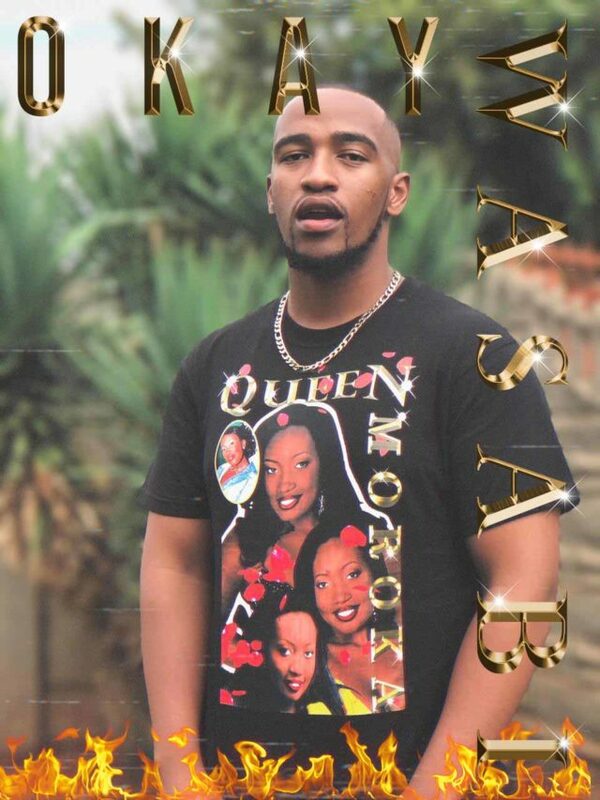 To Dladla, who’s also known as Danger, there’s no difference between Dr. Dre and Queen Moroka because they’re both fictional characters that he connected to while growing up in the streets of Vosloorus. 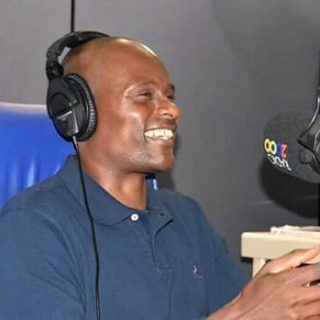 But like most darkies who grew up in the 90s traditionally watching Generations at 20:00 on Simunye We Are 1, you’d ask yourself why he chose to use Sophie Lichaba’s (formerly known as Ndaba) character, he could’ve gone for a Karabo Moroka, Julia Motene or Ntsiki Lukhele. The T’s have received good reception from people, with the likes of comedian Okay Wasabi and performer Fella Gucci spotted rocking one. They’re a limited edition. “My problem with most T-shirt brands is that they get one design that works and they just abuse it until we see Small Street put the final nail in the coffin, and I don’t want that I want to always have new ideas and let the old stay in the past,” the illustrator says. The bootlegging got so bad, that makeshift Cash Time clothing crept up in countries like Angola and Zambia, to the bewilderment of the owners of the brand. This was during the height of the Cash Time Life clique, when it had the likes of Maggz, Moozlie, Kid X and Ma-E on the stable. The aforementioned artists have since left Cash Time after business turned sour. Last year K.O relaunched the clothing line and changed the name to DustnKompany and yesterday he got on Twitter to share news that the clothes are now also available at Studio 88, an underrated clothing outlet among youth. 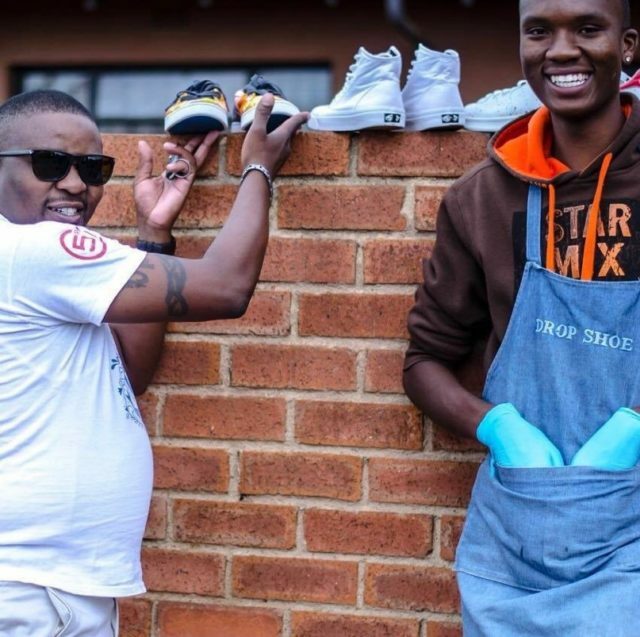 “For the longest time me and Tsholo have had distribution limitations with my clothing line and now through blessings that led to other blessings, Studio 88 has just opened its doors for us,” exclaimed the rapper on social media. The clothes have been available at Joburg’s Fashion Kraal for a while now, but they were restricted to that only store, since their online store seems to be down. Local fashion designers have to contend with international brands, breaking into the highly competitive industry and on top of that still have to raise funds for collections. Last year it was reported that the clothing industry contributes only 3.3% to the country’s GDP, while it deals with the shedding of jobs, cheap imports and closing down of factories. 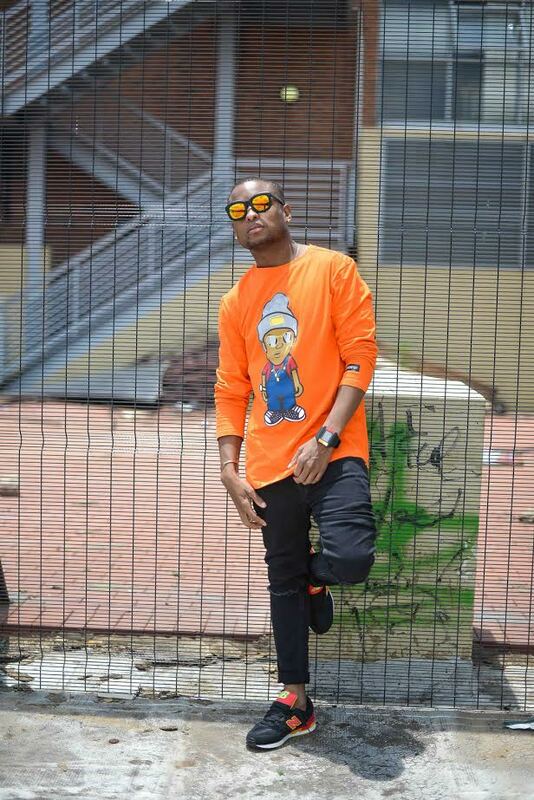 But unlike the average designer, K.O’s brand is built around his music which is planted in the hearts and minds of South African youth. They don’t necessarily buy it because it’s the best thing on the market, but because it’s a K.O brand. The consumer feels closer to their favourite artist, by supporting their every cause. 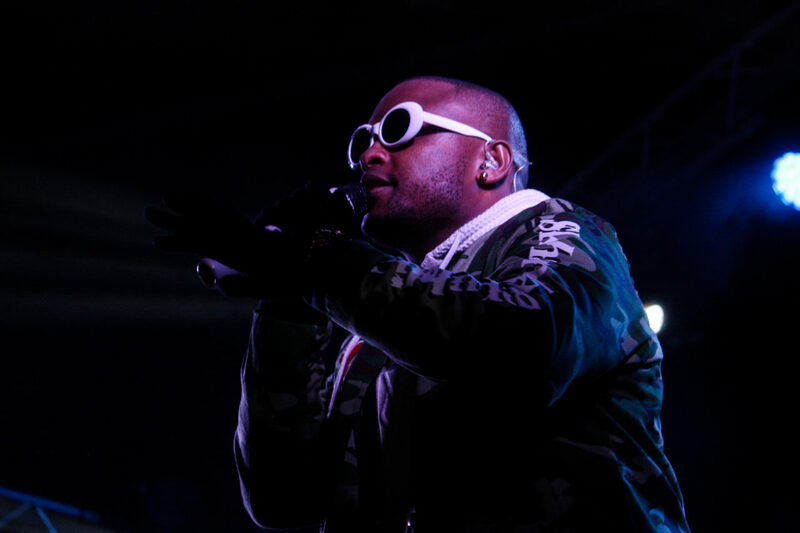 The rapper recently released his album SR2, which scored him two nominations at this year’s South African Hip Hop Awards, in the Best Male and Album of the year category. In the past few seasons, many fashion designers have proven that being narrow minded makes it hard to continue producing breath-taking collections. This comes after Hedi Slimane’s Celine debut collection, which needless to say, received so many backlashes. Leading fashion journalists and fashion critics didn’t have anything good to say about Slimane’s work and his take on Celine, a feminist brand, which has given a lot of women power and encouraged them to experiment with fashion. The industry is still stuck up on the European fantasy world, forcing the same kinds of stereotypes to their customers. They also borrow from Africa and appropriate a lot of our cultural references. This is simple; we need to see more Black African designers to be at the helm of these brands. Executives of these brands are very quick to quote Africa as their main inspiration, but they are shutting us out and take everything that is ours. 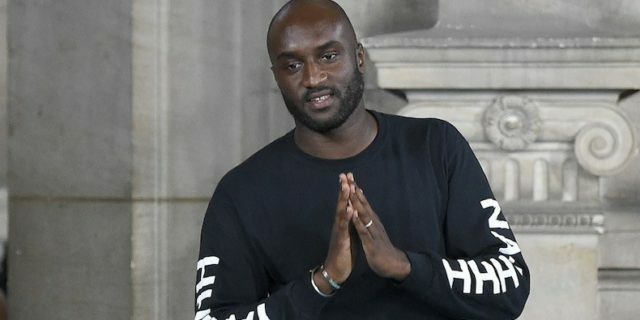 The Loius Vuitton appointment of Virgil Abloh definitely made history; it spoke to the changes happening in the industry. Virgil’s story is one of many; his debut collection had details of his personal experiences. It would be game changing to see an African leading a brand such as Celine etc. because they will be bringing something new, something that people can relate to, begin new ways of seeing Africa, attract new customers and reinvigorate the aesthetics of fashion. If the conglomerates companies such as Kering and LVMH want to be inclusive and diverse, they need to look at our shorelines when they want to hire a new creative director to lead one of their brands. A lot of the big brands are booming in our retail industry and many of our consumers are buying because of the “hype” and wanting to be counted amongst the cool kids of fashion. But our fashion designers are not that supported when they release their collections, simply because they are not the Dior or Gucci standards. For The Business of fashion “timing is everything, and the time has come for the industry to remedy the systematic marginalisation of black design talent”. If these designers were given a chance to have other options, they would change the fashion game. It so sad that fashion is still undermining Africa’s capabilities to be at their “level”. The late Alexander McQueen became more successful after he was given a chance to creative direct for Givenchy, from his college days; he was supported and given a chance. Isabella Blow really believed in McQueen, she saw something that most people weren’t seeing. She dedicated her time to get McQueen to the right people; this attracted the fashion press to look at McQueen with a different eye. Nowadays you don’t need to be French to design for a French House, you don’t need to be British to design for a British brand. Riccardo Tisci is a good example of this; he became a designer for Burberry, a very rooted British brand. Combined with his perfect eye for silhouettes, craftsmanship and subculture, he managed to build on where Christopher Bailey had left off. These kinds of conversations are often avoided by the industry leaders; however, for fashion to continue growing, changing, diversifying and inclusive, certain things need to be addressed. People of colour deserve to be recognised in fashion, they deserve to be given the same opportunities. If the fashion industry is struggling to see a way forward when it comes to things they can easily fix, then we may need to go back to the drawing board and demand the industry executives’ attention. They need to relook at their take on fashion, the industry is growing, and there are millions of young people waiting to see someone who looks like them to represent what they stand for and someone who will give them an opportunity to buy into their culture and inspiration. There’s nothing worse than planning an outfit in your head and realizing that the key component of your outfit looks like you just came from digging graves. Call them what you will, whether it’s iBathu, Kicks, iSpova or whether it’s the classic Takkies. We all love our shoes and let’s admit it, keeping them clean isn’t the easiest thing to do. It’s a matter of how time consuming the effort of washing them is. But with the new age aesthetic that come with shoes there’s techniques and products that comes with keeping your kicks fresh. 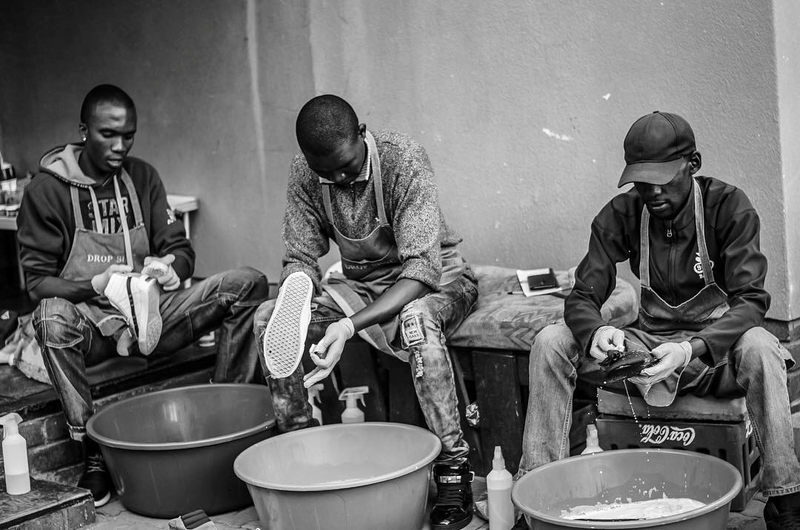 Enter Drop Shoe, the future of premium footwear hygiene. 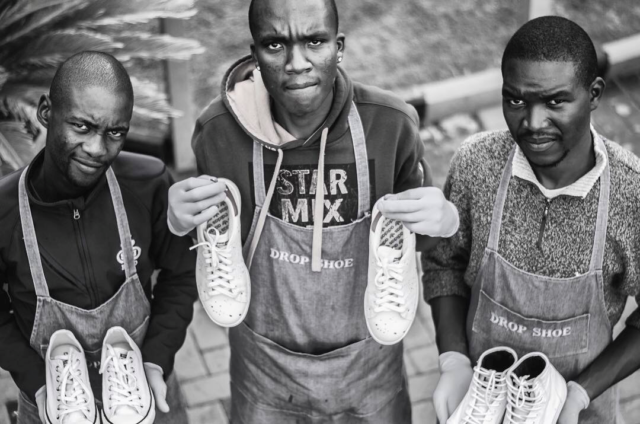 Founded in 2017 by Lethabo Komane in Tembisa, after having washed his older brother’s sneakers over the years and developing a clientele with his brother’s friends Komane saw a gap in an already existing market. Thus Drop Shoes was born and has since grown from strength to strength with only under 2 years in existence. 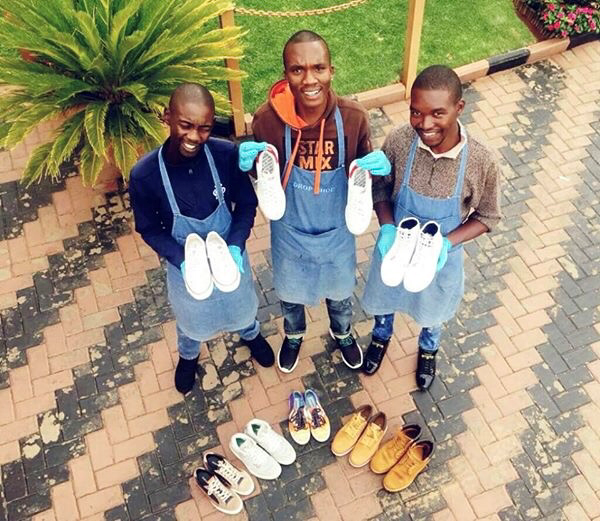 With limited resources, his passion for business and together with his homies Smash, Banele and Tebza footwear hygiene in Tembisa found a home in Drop Shoe. 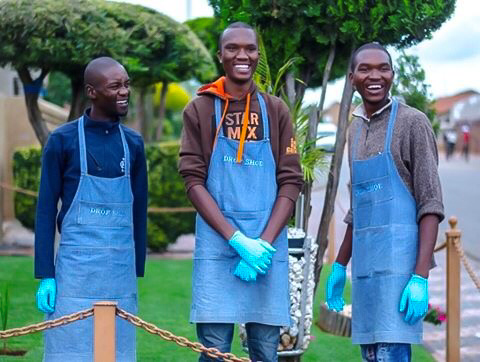 The guys have really changed the narrative of self employment in the township by not only employing guys from their community but also having young interns during school holidays to teach entrepreneurship to teens. Drop Shoe has since grown from just a sneaker cleaning outlet to a premium clientele service provider at an affordable price. With the most beautiful and friendly service that makes you feel at home and at ease with leaving your kicks. They also offer shoe repair, backpack and cap washing. With their impeccable work ethic and professionalism Drop Shoe‘s growth potential is exponential. So show your support to the homies and enter them at parties with fresh clean kicks. The past few decades the world has been looking at major fashion cities such New York, Milan, Tokyo and Paris for fashion and new trends. Many have never imagined that Africa would be considered the fashion inspiration. 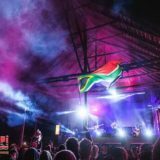 African creativity is currently at the forefront of what is happening in the industry worldwide. We have reached the point where we realize that it is not only about receiving what we see but share with rest of the world how we see ourselves without being influenced by Western platforms. Although with this success, it is hard to ignore that international brands have been appropriating our cultures and excluding us in the process. 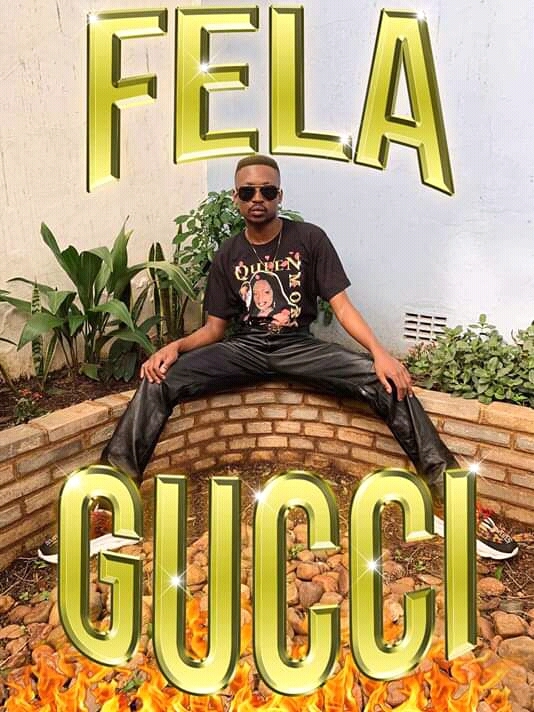 According to the South African fashion Handbook “the rest of the world continues to take inspiration from across the continent but Africans aren’t benefiting from the popularization of fashion inspired by our cultural garb”. This is an alarming issue considering that they take what is ours and they protest that it was originally created by them. In all the digital activism, we are seeing many creatives taking the stand, creating platforms that put us in the right directions to be “on demand”. Whether they are fashion designers, photographers, musicians or creative directors, they are seeing the gap created between Africa and the rest of the world. 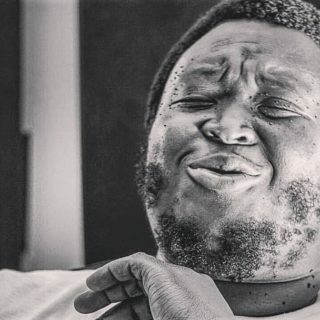 They are seeing the value of being authentically us and in the word of Trevor Stuurman “giving them what they won’t find on Google”. 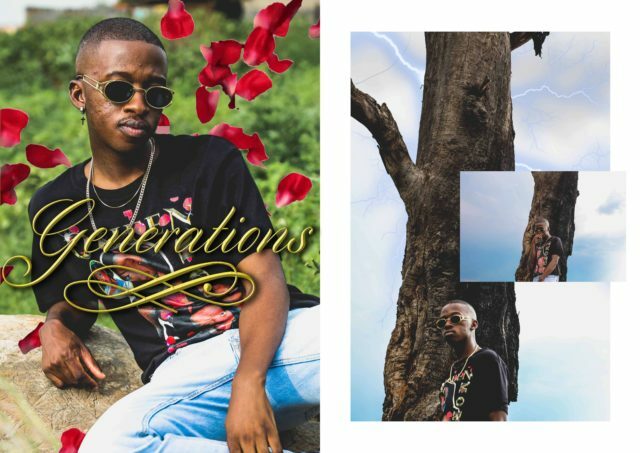 Siya Beyile of The Threaded Man has been in the lead when it comes to telling the story of young African men who love fashion, and proving that wearing African brands does not make you any less cooler, but sets the tone of how the rest of the world sees our distinctive taste. From designers such as Laduma Ngxokolo, Rich Mnisi and Chuulap, these designers are not shying away from creating sharp edge designs and custom made African patterns inspired by our cultures. 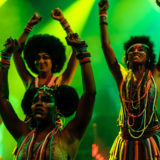 Not forgetting Kwena Baloyi and Sho Madjozi, who have become the African trendsetters and sure have the world looking at them for inspiration. 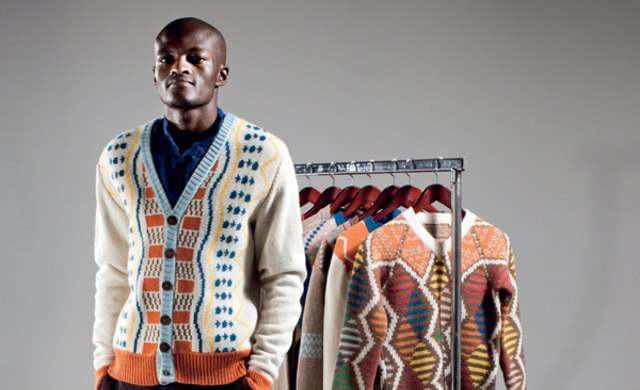 It is comforting to see that Africa is on its way to become respected in the fashion industry. 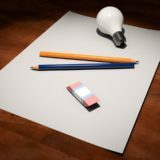 The more people create, the more we are becoming relevant and showing the diverse talent we have. Africa is on its way to become the leading fashion destination and the world is definitely watching.